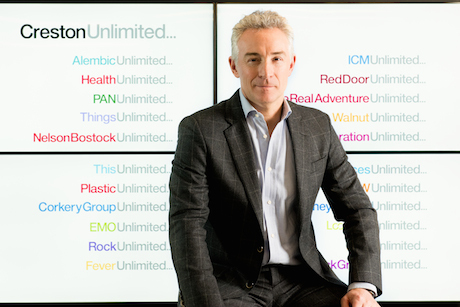 Creston Unlimited, the owner of Nelson Bostock, has formed a partnership with The Digital Consultancy, shortly after its acquisition of How Splendid. Creston, which also owns Cooney/Waters, Fever and Red Door Communications, acquired digital consultancy Splendid last month. Creston's partnership with The Digital Consultancy is a continuation of the group's growth in digital, creating joint pitching and referral opportunities for both businesses. The Digital Consultancy was launched in 2010, with offices in London and New York. Its clients include BP, Centrica, Castrol, MSD, Rolls Royce and Sanofi Pasteur MSD. The Digital Consultancy will operate under the Unlimited brand as The Digital Consultancy Unlimited. Barrie Brien, Creston’s group chief executive, said: "The group already derives more than 50 per cent of its revenue from digital and online activities and this partnership will enhance our digital reputation further, adding expertise in digital strategy and transformation to complement our existing strength in digital marketing." Mike Coppen-Gardner, director of The Digital Consultancy, added: "Since our launch in 2010, we have continuously provided strategic digital expertise for our clients. As we continue to scale our business, we are excited about the partnership with Creston Group and look forward to working within its Unlimited offering." In November Creston reported a five per cent rise in half-year revenue to £37.3m. Its digital and online revenue grew by 4 per cent.